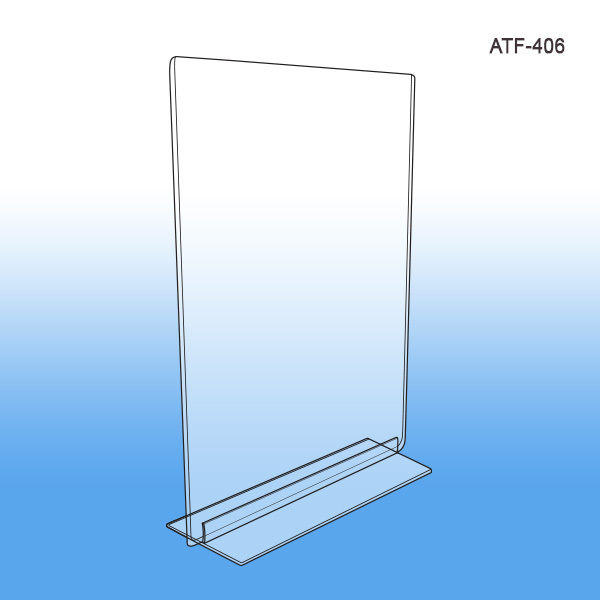 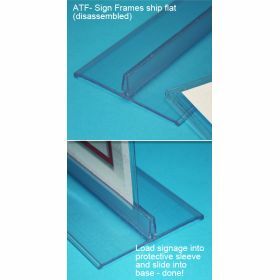 Minimum quantity for "4" W x 6" H "T" Style Sign Holder, ATF-406" is 5. 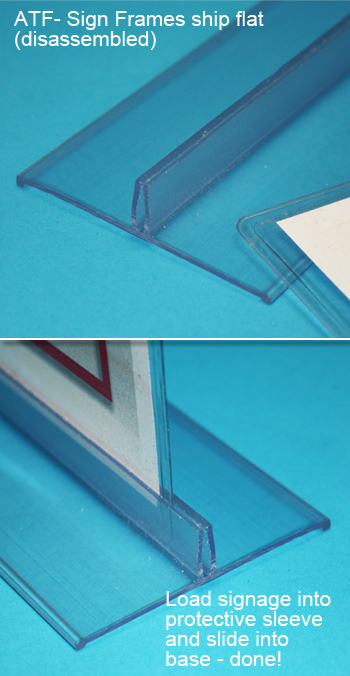 1/8" inside tolerance provides easy insertion of signs, menus, etc. 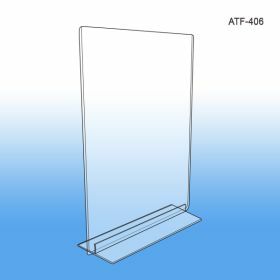 Bottom Loading, this 4" x 6" counter top sign holder is very useful in resturants, check out counters and other retail display tables.